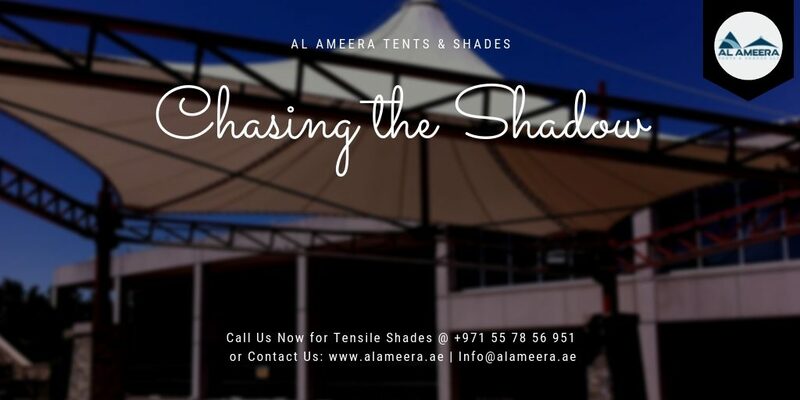 Al Ameera Tents & Shades’s Tensile shade structures are available in various sizes and designs, which are fabricated as per the technical specifications. 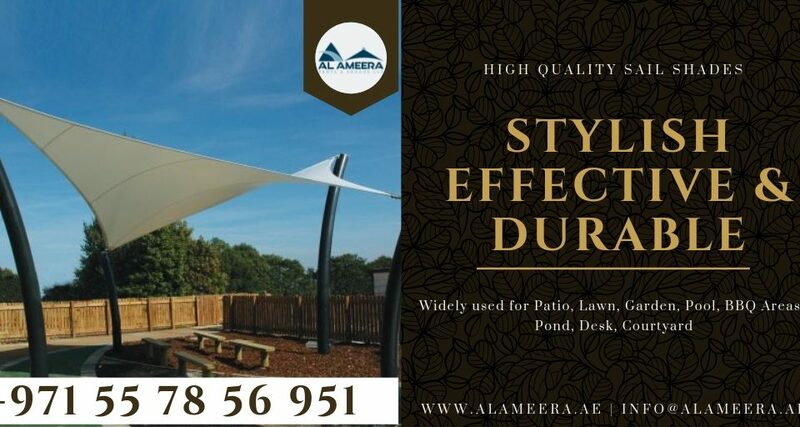 Al Ameera Tents & shades successfully caters the various requirements of the clients by offering them customized design and dimension fabricated with superior quality materials. 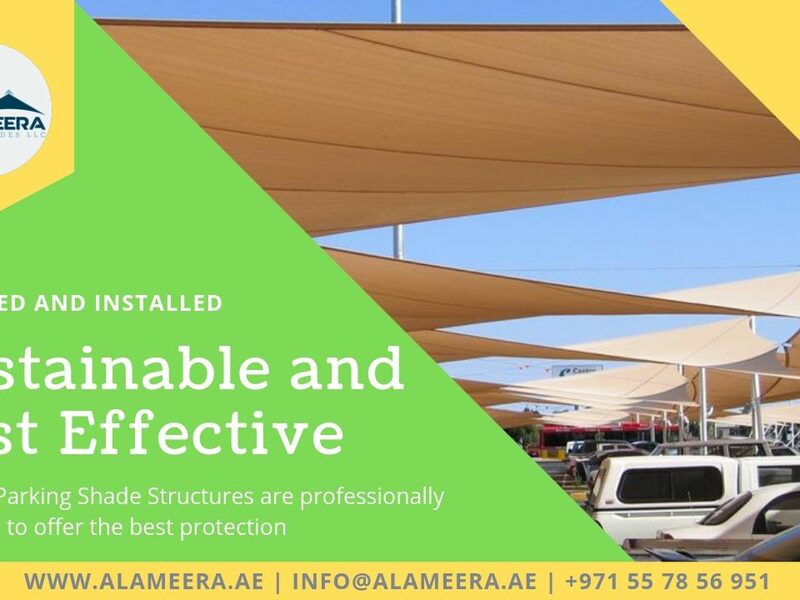 Our Tensile Fabric Engineering team is exceptionally proficient in the design, manufacturing and installation of the Tensile shade structures fabricated with high grade fabric materials such as PVC, HDPE, etc. with M. S steel/ G.I steel frame for durability and strength of the structures. 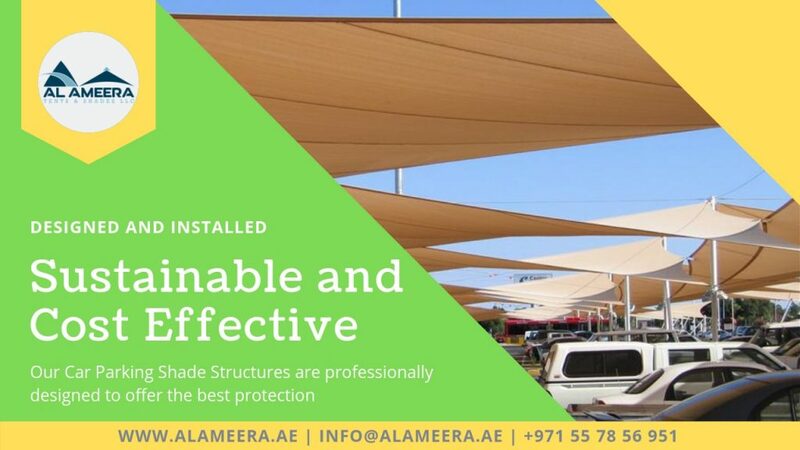 Al Ameeera Tents & Shades provides an extensive assortment of the Fabric Shade membrane structures, which are widely used for Parking Shades, airport roofs, bus/train stations, exhibition halls, sports facilities, concert halls, stadiums, business centers, residential homes and industrial facility and many other places. 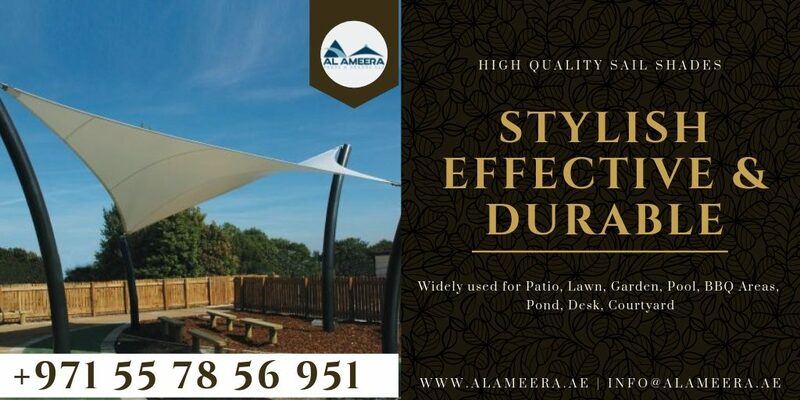 Al Ameera Tents & Shades is one of the authorized and trusted organisation which carry the expertise in providing custom made solar shades, Green shades, Sail Shades, Tensile fabric shade structures, Swimming pool shade, waiting area shade, Roof shade, Playground shade, Open Area Shade, Walkway shade, entrance shade, Wall covering shade, HDPE shade, PVC shade, Gazebo shade, Cloth Shade and PVC Shade. Our team will be happy to bring your creation to reality with our unique Fabric Sail, Sun Shade Sail and Sun Shade system!